Aga and Łukasz Szóstek together with Werner Puchert go beyond today to explore the world of design and much more. Join them as they Catch the Next Wave. S2.E9. Petter Abrahamsen. An Ultimate Goal Of Building a Team. As almost nothing significant can be achieved individually anymore today collaboration is the front and center of challenges the modern companies face. 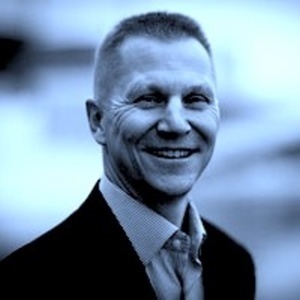 Petter Abrahamsen, the former commander of the Norwegian Navy, talks about motivations and the methods of building teams in the military world. He also shares his thoughts of the ingredients necessary to make empowerment become a reality rather than only round words.